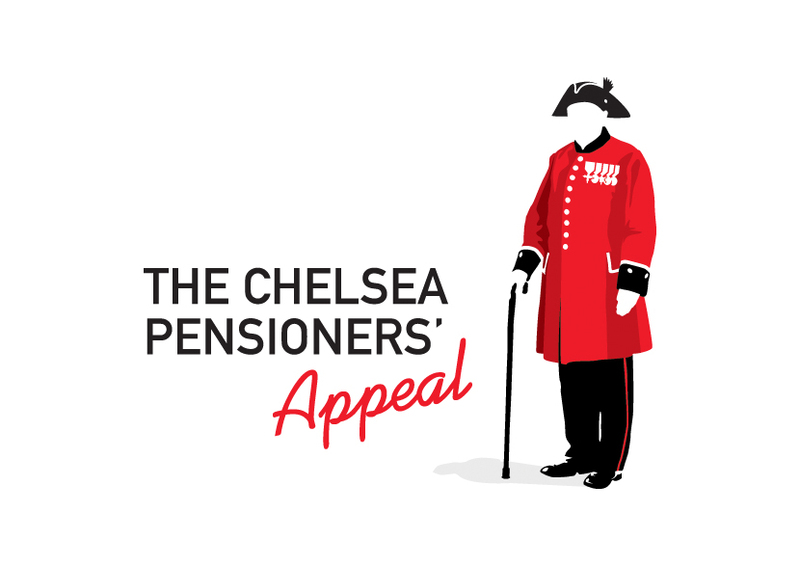 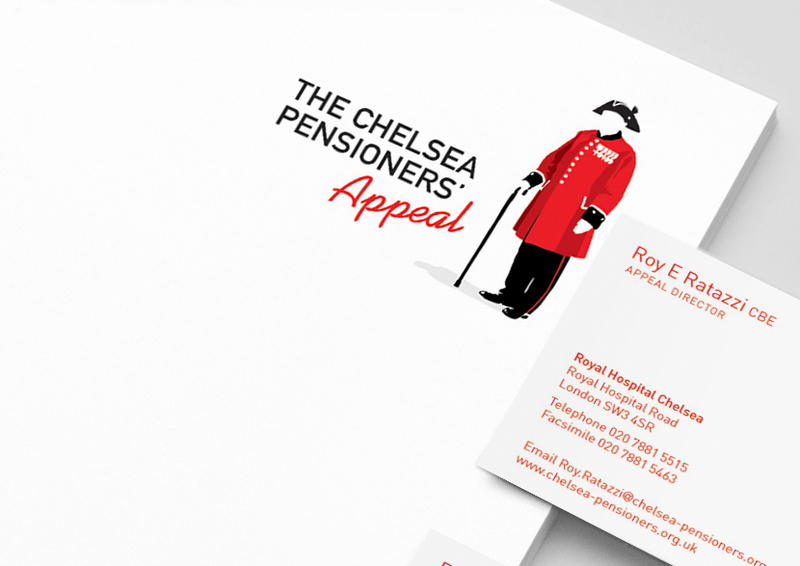 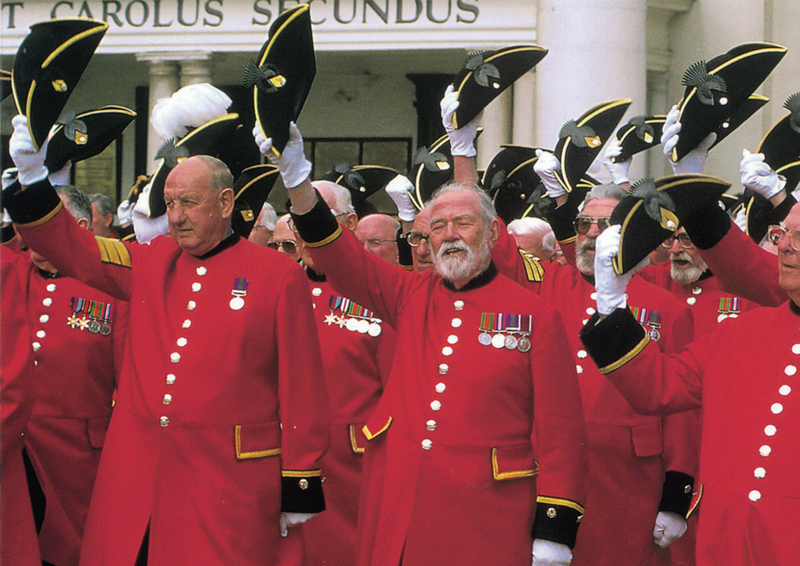 Commissioned to produce the identity and marketing collateral for the Chelsea Pensioners Appeal. 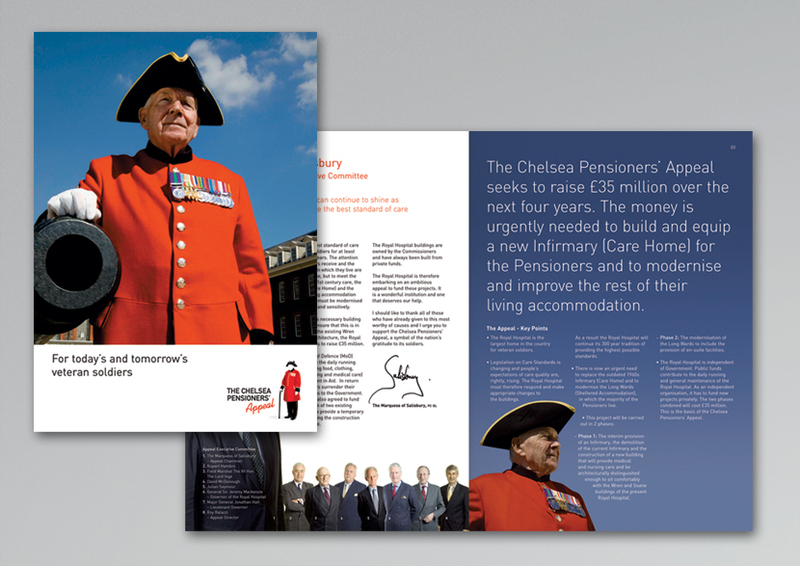 The Appeal was to raise £35million to rebuild the 1950’s design infirmary to meet today’s stringent guidelines on care of the elderly and to renovate the Wren designed long wards (the Pensioners living quarters) to afford the old gentlemen the quality of life and privacy they deserve. 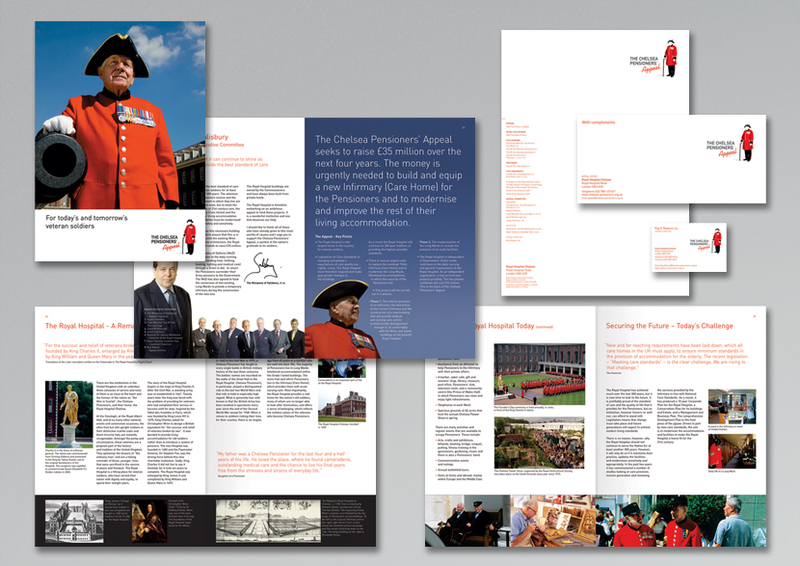 Collateral included stationery items, invitations, presentation material, and a fundraising brochure.